Amazing: Kindle Burns Up Sales Records! Cyber Monday was the biggest day ever for Kindle sales worldwide, Amazon reported. Although it did not release specific figures — it typically doesn’t — Amazon did say Kindle sales were more than double last year’s figure for the holiday weekend. Nine of the 10 best-selling items on its site are Kindles or accessories or digital content for the devices. The Thanksgiving-Black Friday-Cyber Monday trifecta of consumer spending was good for Amazon in many ways. Clearly the online retailer benefited from the surge of online spending. The reduced price for the Kindle Fire — it was marketed for US$129 for Cyber Monday — no doubt drove some of the sales, but the tablet is also benefiting from other long-standing trends. 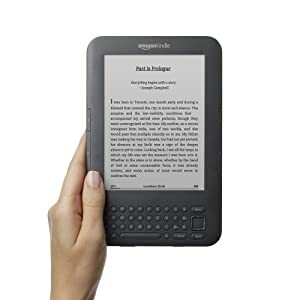 One is the synergy that Amazon identified years ago when it first embarked on its Kindle project: the digital content available directly from Amazon is the driver of many sales, along with the ease with which consumers can download books, magazines and movies. The form factor is also a sales driver. Unlike the early iterations of the iPad and other tablets, Kindle products — including the Kindle Fire — can be tossed in a handbag or briefcase and totted along with little effort. So far, in fact, Amazon has held up well against similar products, such as Barnes and Noble’s Nook. Arguably, though, this past holiday week was the Kindle product line’s big test — one that it appears to have passed. That test came in the form of competition from the iPad mini, Apple’s recently-launched small-sized tablet, which is retailing for $329. Still, the 7.x-inch tablet is a size that is gaining traction with consumers, James Brehm, senior strategist and consultant atCompass Intelligence, told the E-Commerce Times. Telecom providers such as AT&T Wireless are positioning themselves for growth in the 7.x-inch size tablet market. Amazon’s content and related ecosystem may prove to be the ultimate secret to the Kindle Fire’s success. Amazon did not respond to our request for further details. New facebook page for Know The World Facts! https://knowtheworldfacts.wordpress.com is now http://knowtheworldfacts.com !!! knowtheworldfacts.wordpress.com is moving to http://knowtheworldfacts.com soon !! !